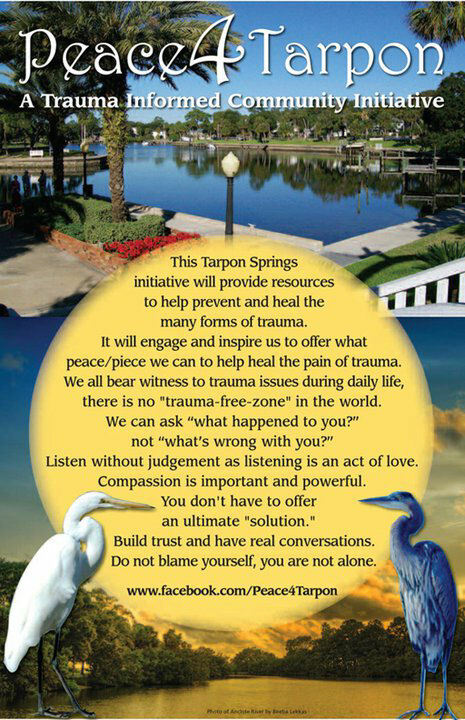 Helpful Information During and After a Traumatic Event. 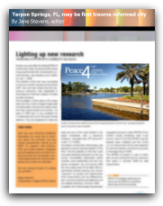 Data was collected from 877 individuals over the past 2 years who completed the ACEs questionnaire through the Peace4Tarpon website. 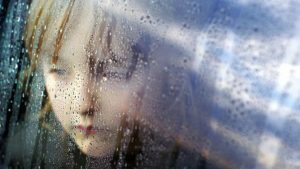 This data was compared with results from a 2010 study which was included in the Behavioral Risk Factor Surveillance Survey and included participants from 10 states and Washington DC. Trust and Communication Camp helps kids deal with adverse childhood experiences. And they swim and learn crafts. ST. PETERSBURG – A dozen kids sit in a circle with their eyes closed and their hands resting gently on their folded legs. Slowly, they begin to chant together. ‘Peace begins within me.’ With each word, their thumbs touch a different finger. Over and over, they repeat the phrase, tapping out each word. The simple exercise is one small way the rising fifth-graders at SMART Leadership Camp at the University of South Florida St. Peter sburg are learning how to recognize and process their emotions in a healthy way. Ultimately, the six-week summer camp at USFSP is just that: a summer camp. About 45 kids from six area schools spend their time crafting, kayaking, watching movies, swimming and learn- ing about math, science and technology. But they also take time to talk about their feelings, build trust, share their stories and learn to resolve conflicts with their family and friends. The hope is that these skills will help them deal with adverse childhood experiences, known as ACES. The term, familiar to many educators and counselors who deal with kids, can refer to anything from verbal abuse and emotional neglect to having a parent who’s an alcoholic or a family member who is in jail. Ambush has overseen the program for three years. But this is the first year he’s leading these types of exercises, thanks to a $35,000 grant from the St. Petersburg City Council to fund the ACES pilot. When Ambush and a colleague presented the idea to City Council in May, the buy-in was almost instantaneous. Council member Charlie Gerdes proposed raising the grant amount from $30,000 to $35,000 and asked staff to draft a resolution and a letter to the school board showing the city’s support of programs like this in schools and community centers. ‘Part of my impatience is I just wish we were doing this 10 years ago, eight years ago, even five year s ago,’ Gerdes said. ‘It can’t happen fast enough in my mind.’ Most of the city money went to salaries for staff members who lead special breakout session with the kids on Mondays and Fridays during the camp. Some days that includes restorative circles, an exercise that helps kids build connections, share experiences and practice conflict resolution. ‘They want so badly to be loved, to be connected to people,’ Ambush said. ‘Their experiences are telling them it’s not right, it’s not fair. We’re trying to have an all-encompassing circle telling them it’s okay to talk, it’s okay to share, and it’s okay to connect in a way that’s comfortable for them.’ Much of Ambush’s work with the kids doesn’t directly touch on trauma or adverse experiences, but instead helps the kids understand how their brain, emotions and reactions all work. Helping illustrate that to fifthgraders can be com plicated, so Ambush tries to involve as many hands-on and en! gaging activities as possible, such as meditating, painting kindness rocks to hide on campus or envisioning their happy place. One week, when learning about the parts of the brain, the kids played a game called ‘Chaos.’ One side of the room represented the amygdala, which controls emotion. The other side was the prefrontal cortex, home of reasoning. The goal was to make it safely from one side to the other. Two kids, playing the role of chaos, stood in the middle of the room, tagging people as they crossed. Any time a kid was tagged, they became chaos as well. The takeaway? Trying to calmly convey your thoughts from emotion to reasoning gets more complicated when there is more stress and chaos in your life. ‘They understand when there’s so much chaos, that there’s less of a chance to get to your reasoning,’ Ambush said. ‘It’s a game, but they get it and these kids are naming these parts of the brain and talking like scientists.’ While much of the work Ambush and his team are doing focuses on the kids, it’s quick to dissolve unless there is buyin from parents, he said. That’s why a main goal of the pilot is to connect with parents, as well, whether it’s through a phone call or a home visit. But soliciting parent involvement is no easy task, which is why some of the city money goes toward $75 gift cards for parent incentives. In order to qualify, parents have to fill out a survey about their own experiences, interact with Ambush and his staff throughout the camp, and attend the end-of-camp celebration with their child. Mareketa Teal is one of the parents whose child was nominated to attend the camp. Teal, who also works at US FP as a graduate admissions recruiter for the College of Arts and Sci! ences, said her daughter talks to her about the camp every day. But when it comes to sharing details from restorative circles or what tools they’ve learned in their breakout sessions, Teal said her daughter is more reserved. ‘She doesn’t tell me about that part of camp, but she definitely talks about camp after she gets out,’ Teal said. ‘She just looks forward to going to camp every day.’ Teal, like the other parents whose kids attend the camp, had to fill out an ACES questionnaire about her family experiences. ‘I think they wanted to gather what my life looked like growing up and how it could have potentially affected or is affecting how my child sees life through what she’s learning from us as parents,’ Teal said. The questionnaire touched on environmental and social upbringing along with family history. Teal said she’s fortuna te that both her and her daughter have low scores on the ACES scale, thanks to limited exposure to adverse experiences, but she knows that is not the case for many kids. ‘It definitely makes you wonder how many of these things children go through every day,’ she said, ‘or other adults who have gone through it but never got the chance to express it or acknowledge it.’ The goal, Ambush said, is to expand beyond the approximately 45 kids in the small pilot program to a more meaningful initiative in the schools or community centers. The kids themselves will also help spread the word. Because Camp SMART is a leadership camp at its core, the kids are all tasked with bringing the information they learned to their schools next fall. Camp leaders encourage them to act as mediators and to help their friends establish circles of trust. But providing them with those tools and k! 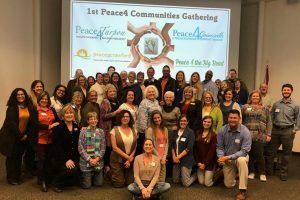 nowledge in just six weeks can be difficult, said Dr. LaDonna Butler, who leads breakout sessions with Ambush and works at the Family Study Center at USFP. Much of her work the first few weeks is spent helping the kids learn how to trust each other and open up during restorative circles and other activities. While many are quick to jump on board, others are more hesitant, holding back or even shutting down during exercises. One Monday, Butler’s group gathered on a sandy section of USFSP’s campus, a spot the kids chose for their session. Even seemingly small decisions, like allowing the kids to make choices or vocalize their opinions, is important in building trust. They had spent the last 30 minutes making promises to each other – the tight clasp of pinkies sealing each bond – and sharing with other campers what it is like to try to talk with their parents. While some spoke freely and openly about the best and hardest parts of the assignment, others shrugged their way through. ‘The hardest part at first was when my sister wasn’t listening,’ one girl said. A handful in the group weren’t able to do the exercise, which required them to talk with their parents at home. Talking is hard when a parent isn’t around. Still, others smiled when sharing their experience. ‘When my mom expressed her feelings first, it made it easier to express mine,’ one girl said. Creating significant change takes more than a couple of sessions at a summer camp. Still there are goals that can be accomplished in a few weeks, Butler said, such as starting tha! t dialogue between a parent and child. 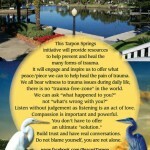 Can We Create a Trauma-Informed Sarasota? 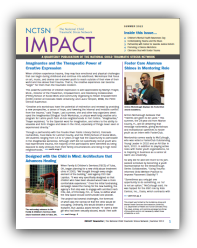 We are happy to share with you the 2012 Summer Issue of IMPACT, the quarterly newsletter of the National Child Traumatic Stress Network (NCTSN).